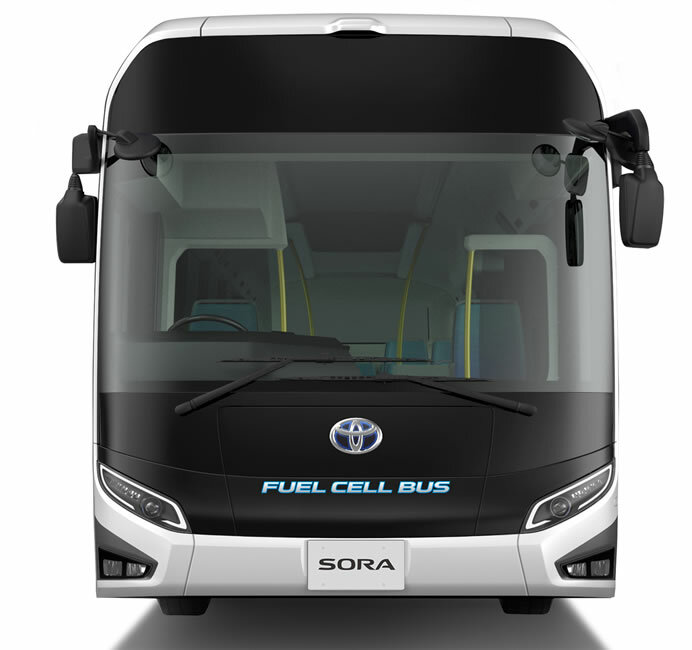 Toyota announced today that the sales of its first fuel cell bus (FC bus) “Sora, began in Japan from March 7. Toyota Sora is the first to receive vehicle type certification in Japan. The Sora features human-centric universal design and functions, reflecting Toyota’s desire that when riding the Sora, mobility no longer presents an impediment to customers challenging the impossible, which helps enable them to achieve their dreams. The Toyota Fuel Cell System (TFCS), which was developed for the Mirai fuel cell electric vehicle (FCEV), has been leveraged to realize high environmental performance with no CO2 emissions or Substances of Concern (SoC) emitted when in operation, as well as quiet comfort with minimal vibration. 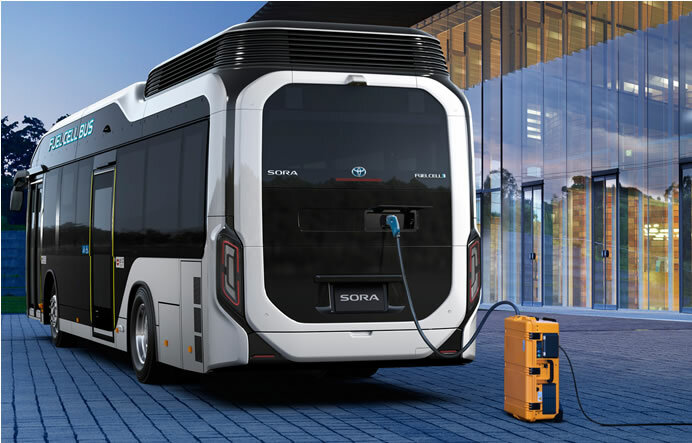 The Sora is equipped with a high-capacity external power output device, which can provide high output and a large capacity of electricity supply (9 kW maximum output, and electricity supply of 235 kWh) and has potential use as an emergency power source following disasters. 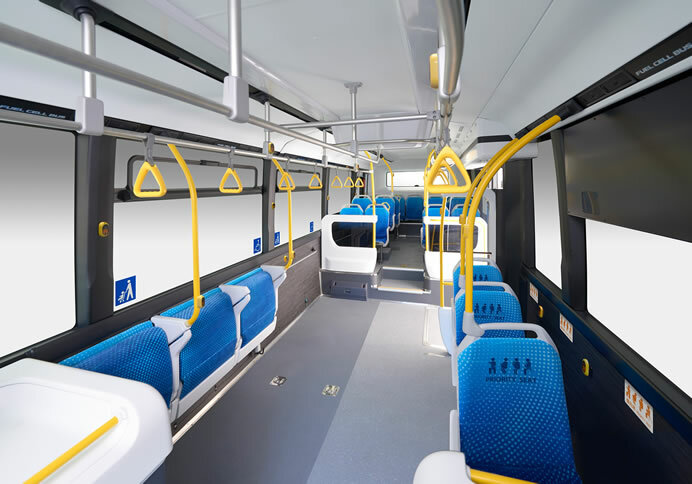 The Sora’s seats are automatically stored when not in use, improving comfort and convenience for passengers with strollers and wheelchairs as well as other passengers. 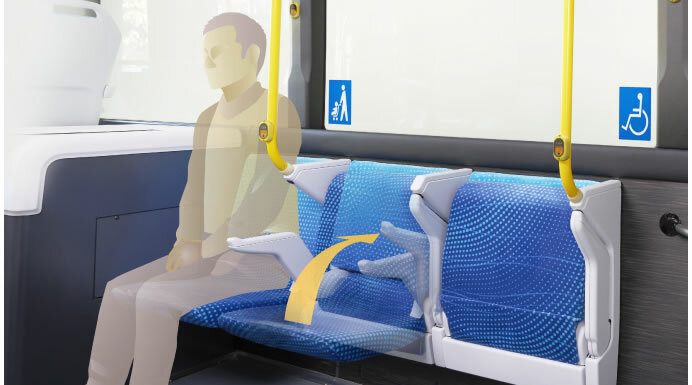 The acceleration control function suppresses sudden acceleration and enables smooth acceleration from complete stops in consideration of the safety of standing passengers. Also, as the bus is not motor operated, there is no gear shifting, resulting in minimal lurching. Eight high-definition cameras fitted inside and outside the vehicle detect pedestrians and bicyclists around the bus providing a field of vision support camera system. 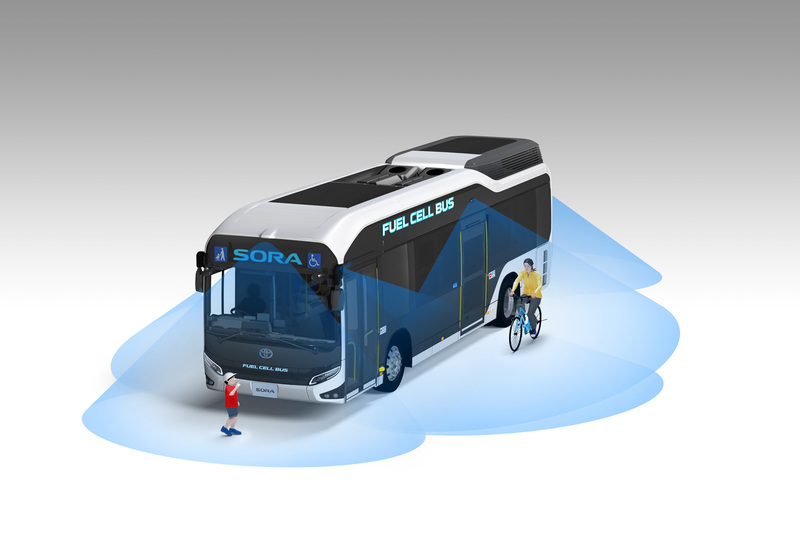 When at bus stops, the system warns the driver of surrounding pedestrians and bicyclists through sound notifications and images thereby improving safety. 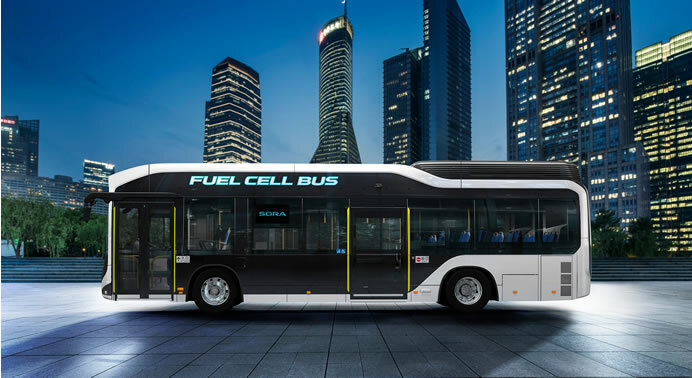 Toyota expects to introduce over 100 fuel cell buses, mainly within the Tokyo metropolitan area, ahead of the Olympic and Paralympic Games Tokyo 2020.